APRIL Group’s Fire Free Village Program (FFVP) team is busy visiting villages across Riau Province to raise awareness of the importance of fire prevention ahead of the 2017 dry season. This is in line with Indonesia’s President Jokowi’s recent call for increased vigilance. In January, President Jokowi directed local governments to declare emergency status early in fire-prone areas including Riau, East and West Kalimantan, and Papua provinces. Riau Province has since declared a State of Emergency on 24 January. In 2017, the FFVP will work directly with 27 villages in Riau, covering an area of more than 700,000 hectares of community land – almost 10 times the area of Singapore and up from the 592,080 hectares covered by last year’s program. This year’s program will cover 18 Fire Free Villages (FFV) plus nine Fire Resilient Communities (FRC). As at the end of January, the APRIL team – working closely with local government, police, military, and village crew leaders – was visiting villages to spread fire prevention messages and advice, and preparing for the upcoming dry season. Fire Aware Communities (FAC) – an introductory phase on fire prevention and awareness that in 2016 targeted junior schools in 50 villages. It will reach another 50 villages in 2017. Fire Free Villages (FFV) – the comprehensive fire prevention program working directly with selected villages over two years. Fire Resilient Communities (FRC) – an ongoing engagement with communities that have graduated from FFV. Nine new villages – all located on the Island of Pulau Padang – have been announced as part of this year’s FFVP, joining the nine that completed their first fire season last year as program participants. This year’s FFVP hopes to build on the success of 2016 that – according to Carbon Conservation’s independent review – saw a significant overall improvement in fire prevention compared with the first season of FFVP. The report notes that in 2016 a total of 390.6 hectares was damaged by fire, representing less than 0.06% of the program’s total coverage area of 592,080 ha. Of this, 344.9 hectares were recorded in one village, unfortunately skewing a positive result for the 18 villages. In 2015, 0.01% of the FFVP’s 427,876 hectares saw fires. A total of 14 villages – out of the 18 involved in FFVP in 2016 – have already received rewards in recognition of their efforts and success in preventing fires last year. Only four villages failed to earn a partial or full reward. However, he warned against complacency heading into 2017. “The threat of fire is omnipresent so, as President Jokowi has highlighted, vigilance has to remain at the highest levels,” Mr. Tribolet said, adding that the FFVP team had been encouraged by the response of the new villages entering the program in 2017 – as well as the continued commitment of those entering the second year of their FFVP experience. 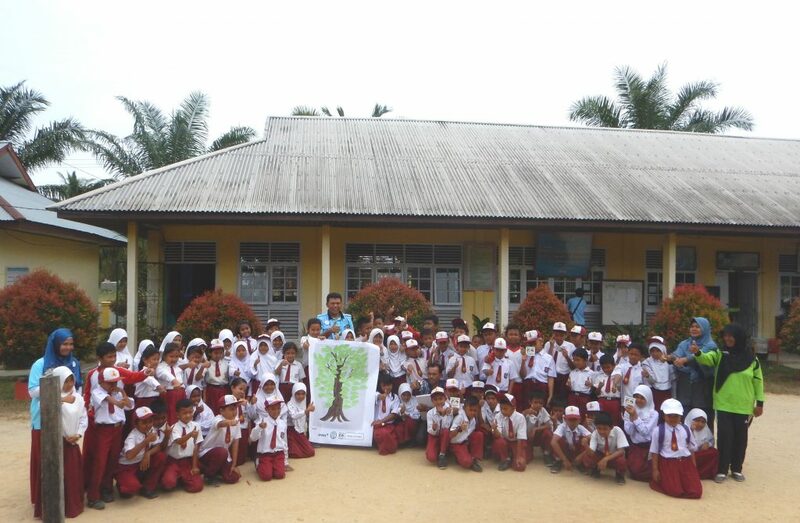 Fire Free Village Program team advocating fire prevention in Riau schools. “There seems to be a growing acceptance that a cultural shift is needed – both in terms of thinking and practices – and that the prevention of fires will have long-term and wide-reaching benefits for their communities,” he said. Villages that performed well in 2016 have already earmarked their rewards for community infrastructure projects ranging from roadside culverts to community halls. Mr. Tribolet said: “The rewards and the other programs have worked as an incentive which helped villages embrace FFVP – and that’s a very good thing – but it will be interesting to see how the villages which have now graduated from FFVP continue to perform as ‘fire resilient communities’. Initiated by APRIL, FFVP is executed in collaboration with local NGOs and is also supported by the local government, police, military and Riau’s Disaster Mitigation Agency. In 2016, APRIL led the creation of the Fire Free Alliance (FFA) bringing together some of the biggest agricultural companies operating in Riau, including APRIL, Asian Agri, Wilmar, Musim Mas and Sime Darby. 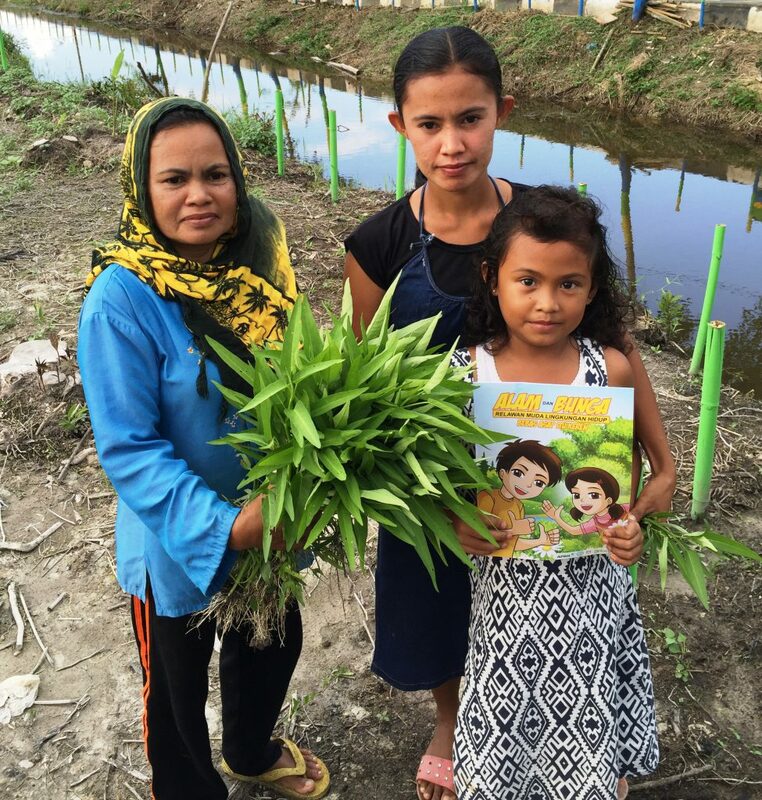 APRIL has shared FFVP manuals and toolkits with FFA partners to assist development of their own programs with neighboring communities.